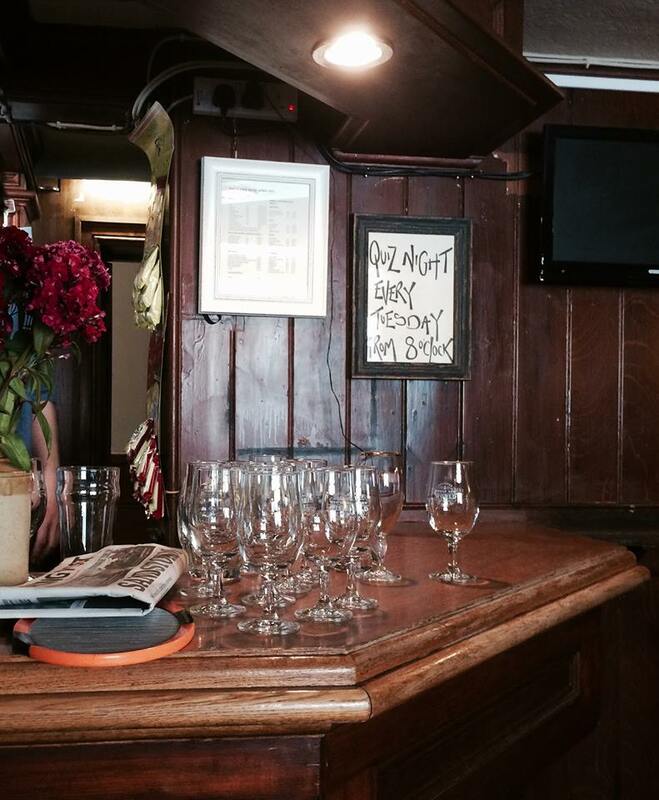 We started the tour at Fitzbillies, where Gerla met us and handed us each a bottle of water. Great idea! 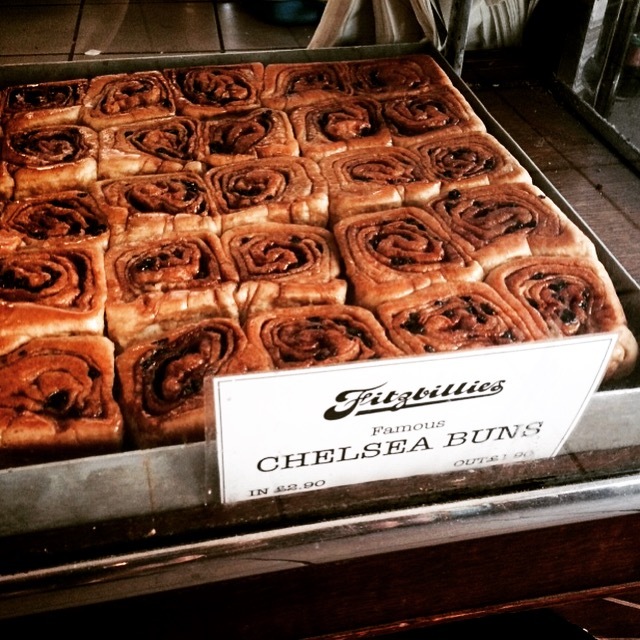 Of course we couldn’t visit Fitzbillies without sampling their famous Chelsea buns. These freshly baked buns were soft, gooey and sweet! 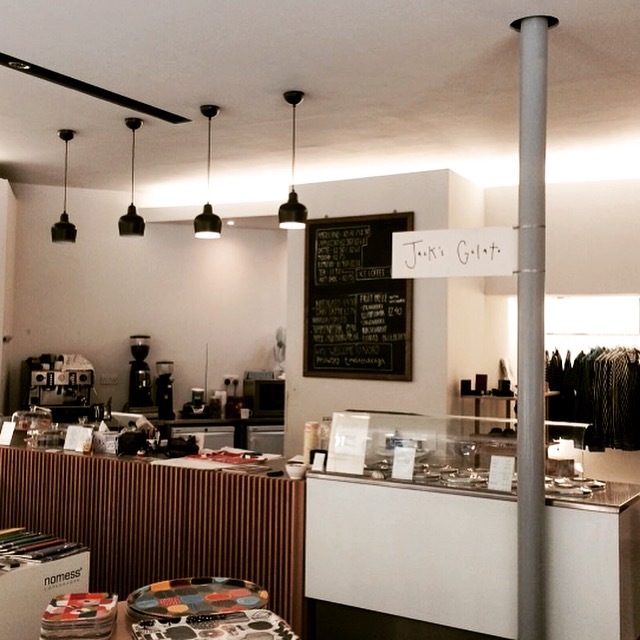 Gerla also took the opportunity to talk about Fitzbillies’ history and owner Tim Hayward’s latest book, “Food DIY”. 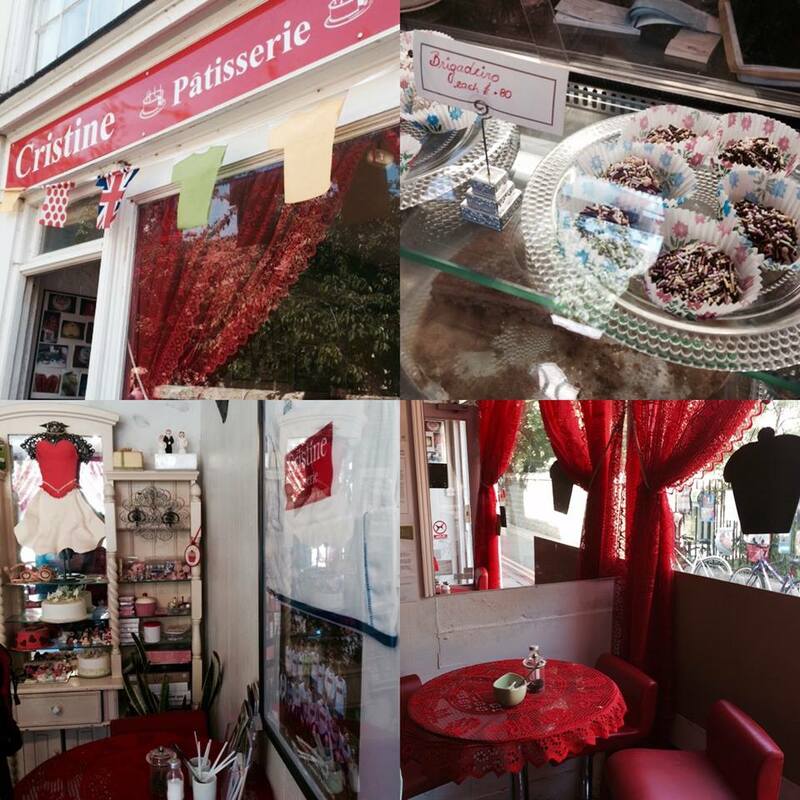 We then popped into a place I had never seen before, Cristine Pâtisserie, a cosy little place all decked out in red. 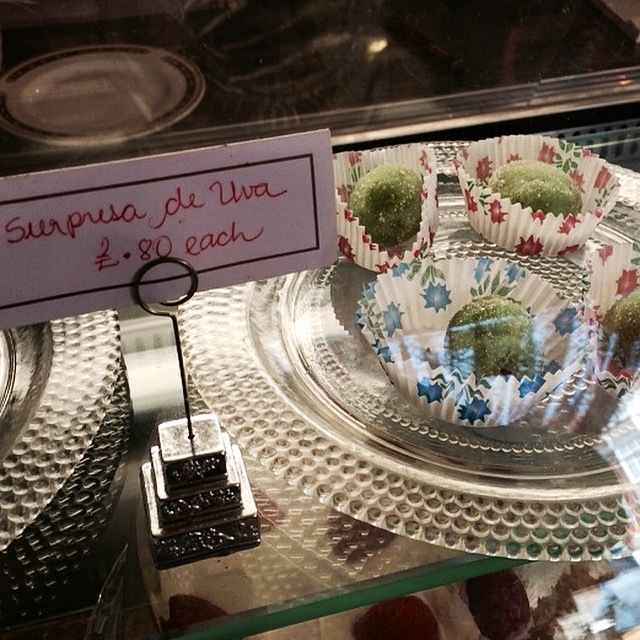 Friendly owner Cristine was on hand to present her Brazilian sweet treats, such as beijinhos, brigadeiros and surpresas de uva. I was intrigued by the surpresa de uva, literally meaning “grape surprise”. There was indeed a very tasty grape in this bite-sized sweet treat. They are addictive so I’ll definitely be going back for more, now that I’ve discovered this hidden gem just off Trumpington Street. 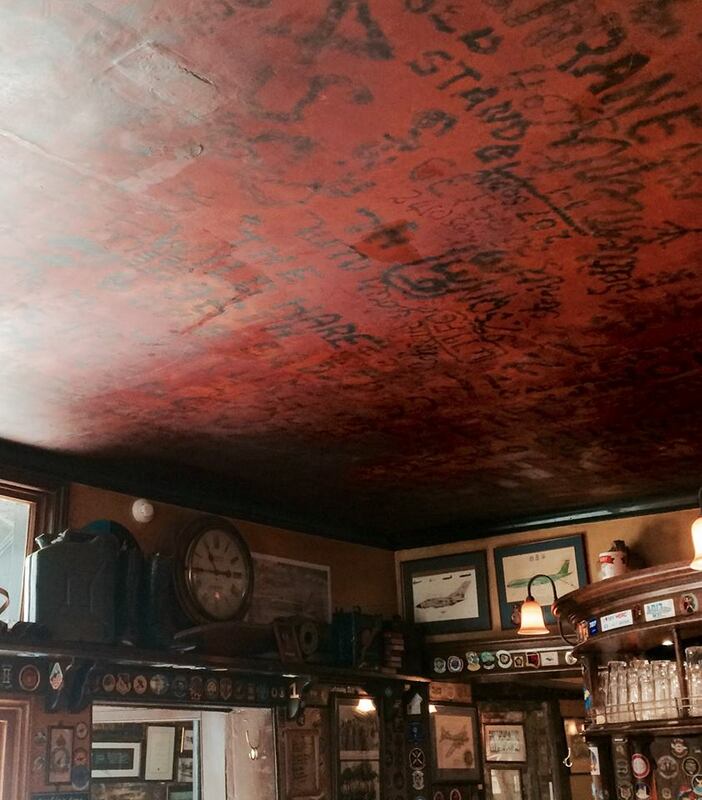 We visited The Eagle, not for food, but to admire the ceiling in the RAF bar with graffiti of World War II airmen. The Eagle is also the place where the discovery for the structure of DNA was announced. Very interesting history! 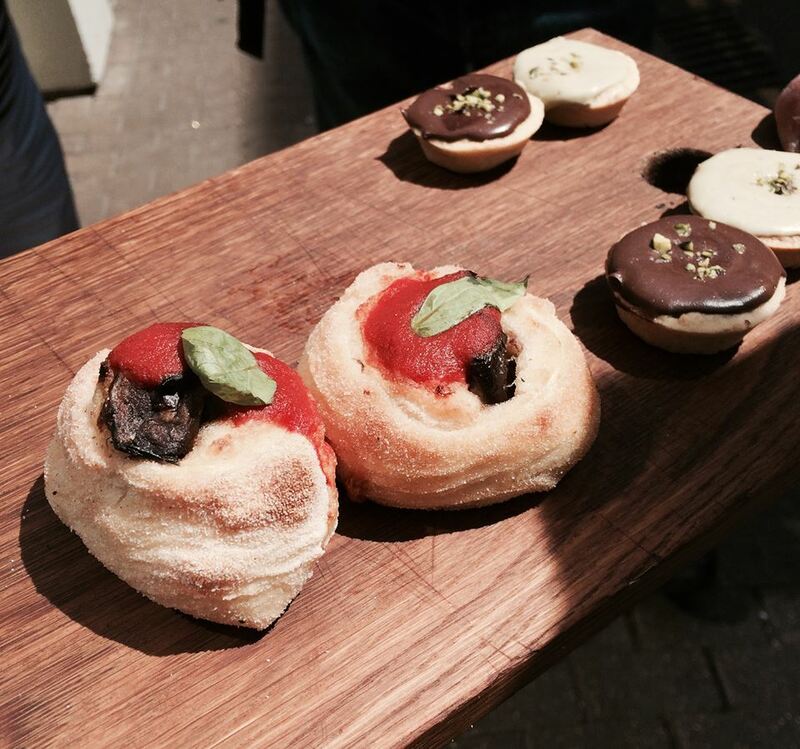 Then it was time for a quick stop at Aromi, where we were served delicious Sicilian sweet and savoury specialties… bite-sized pizza-type balls as well as chocolate hazelnut and pistachio tartlets. We then wandered through one of my favourite places, the Market Square. 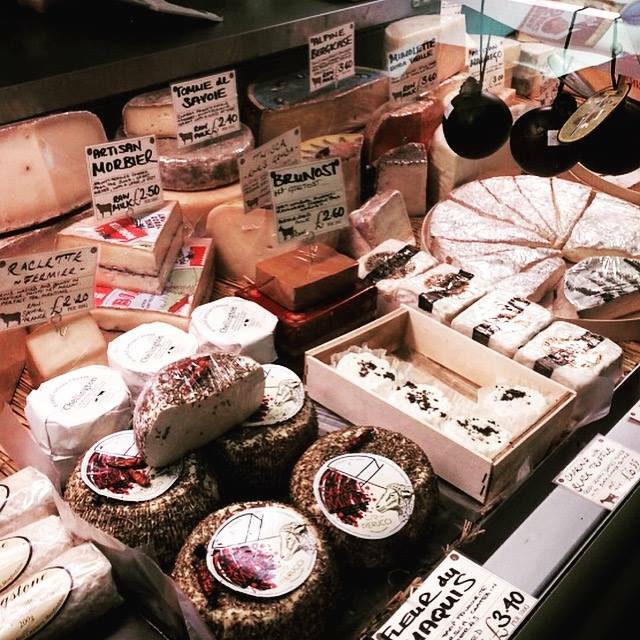 There’s always something new to discover at the market. 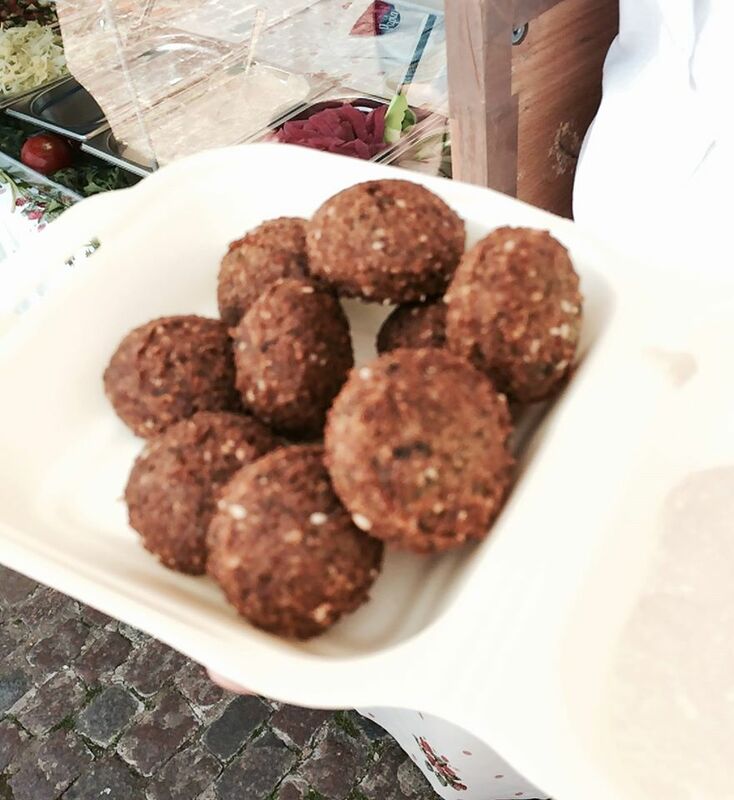 We admired the beautiful fresh vegetables in the stalls and Gerla showed us to a falafel trader I had never seen before, Mediterranean Falafel. We had freshly made falafels and dipped them in hummus. Delicious! Next up was the perfect place to satisfy the sweet tooth, Fudge Kitchen. 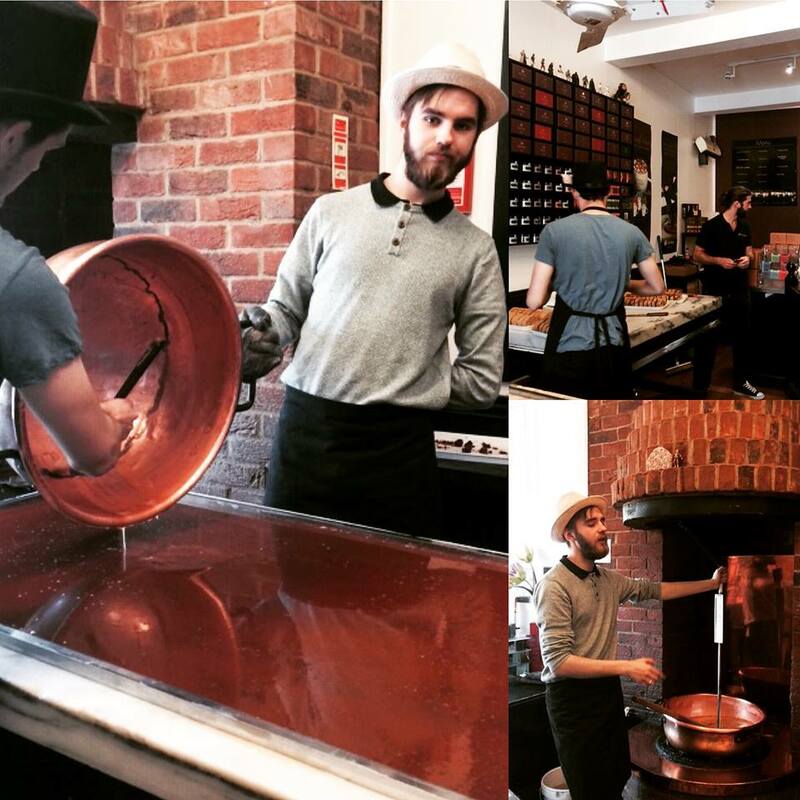 We watched the fudge being expertly made… and we got to sample some too! I had the sea salt fudge. 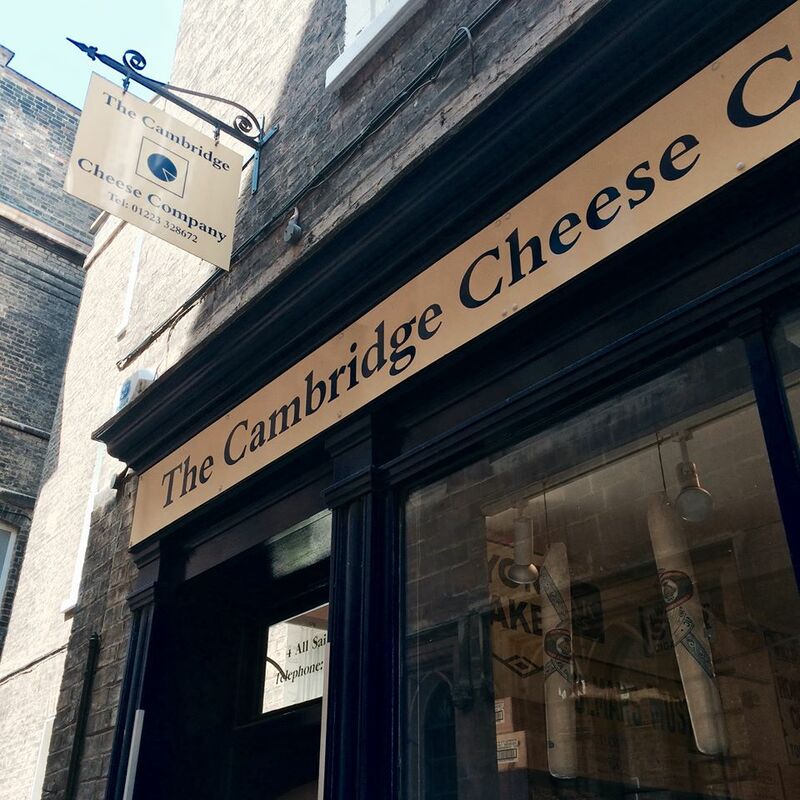 The Cambridge Cheese Company was another place I can’t believe I never visited before. 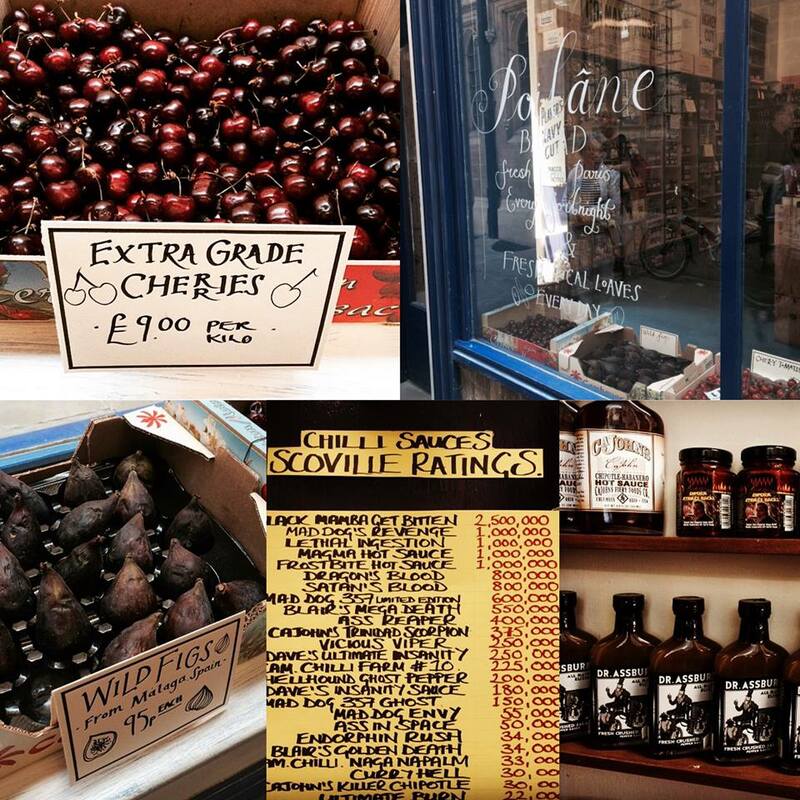 This Aladdin’s cave of foodie delights was right up my street with its variety of cheeses, hot sauces, charcuterie, figs, cherries, olives, chutneys and so much more! 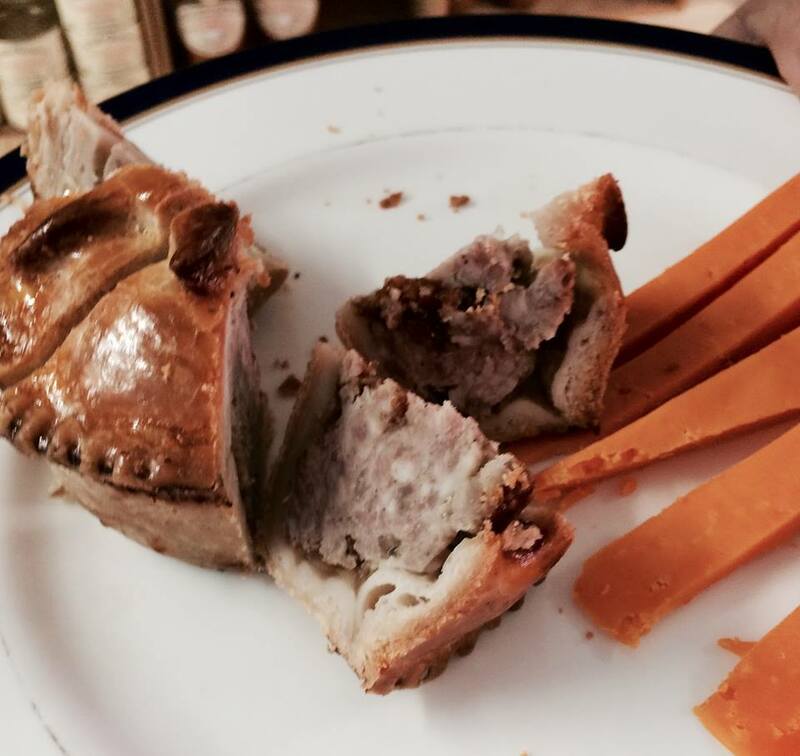 We enjoyed some freshly-pressed apple juice and sampled some Cambridgeshire pork pies and Red Leicester cheese. Wonderful! I almost hated to leave but I knew Gerla had more to surprises in store. On our stroll we admired some beautiful houses I had never seen before. We then walked along King Street and stopped outside the Champion of the Thames. 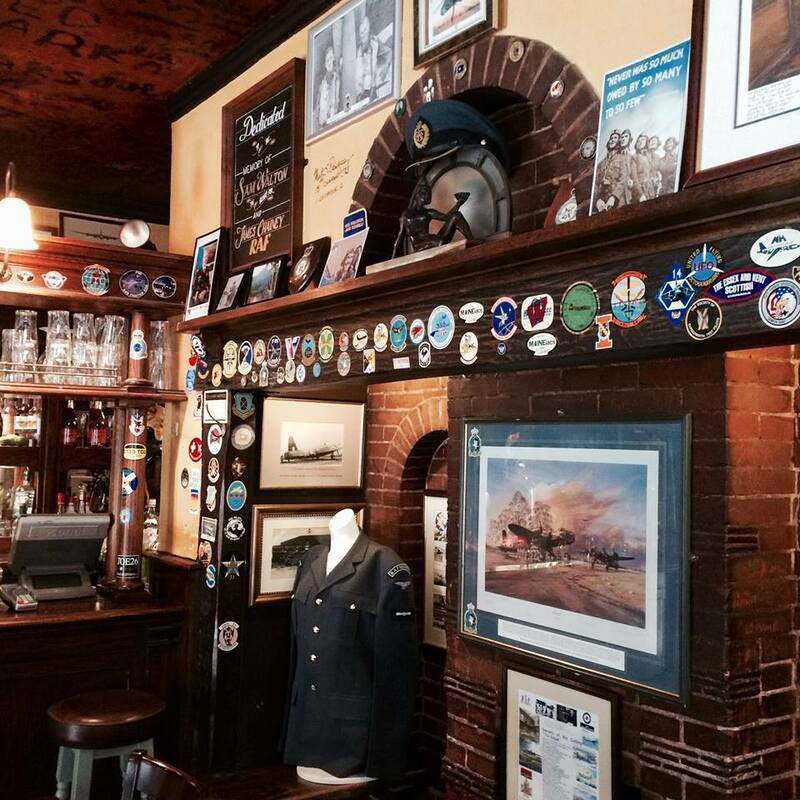 As Gerla was telling us the reason for the pub’s name, the friendly owner happened to pass by and invited us in for a quick chat. 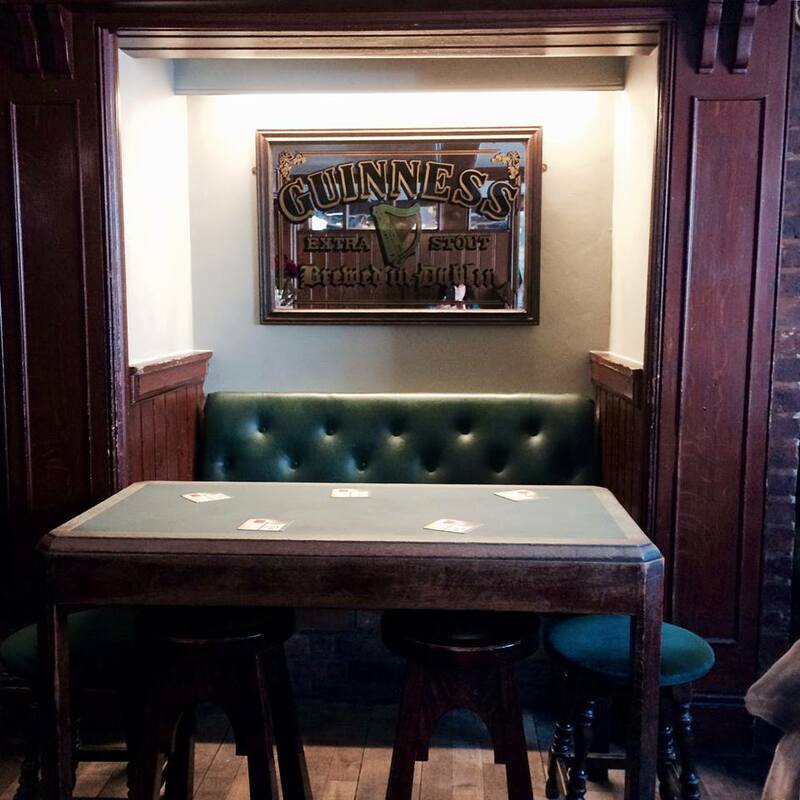 I really liked this cosy little pub with its oak interior and leather seats. 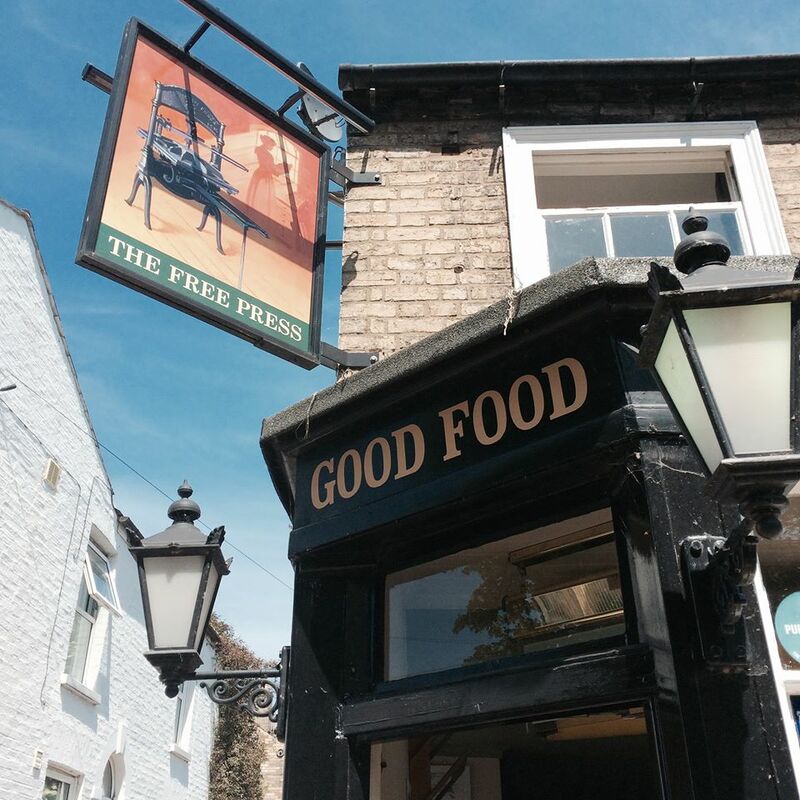 Our rest stop was at The Free Press where we sat in the intimate walled garden at the rear of the pub. 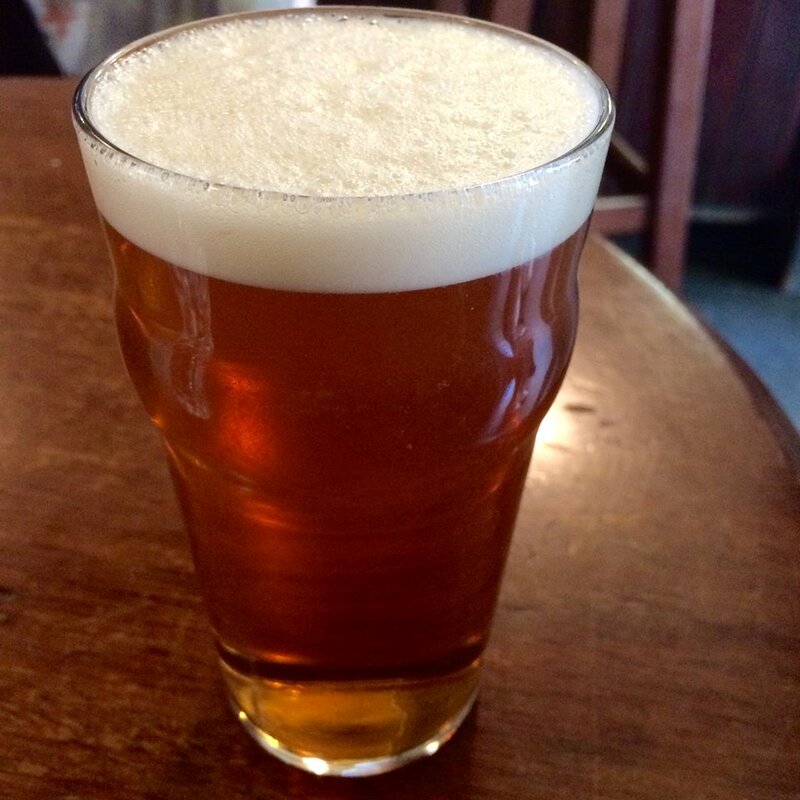 I enjoyed a light, citrusy beer with one of the most delicious scotch eggs I have ever tasted. 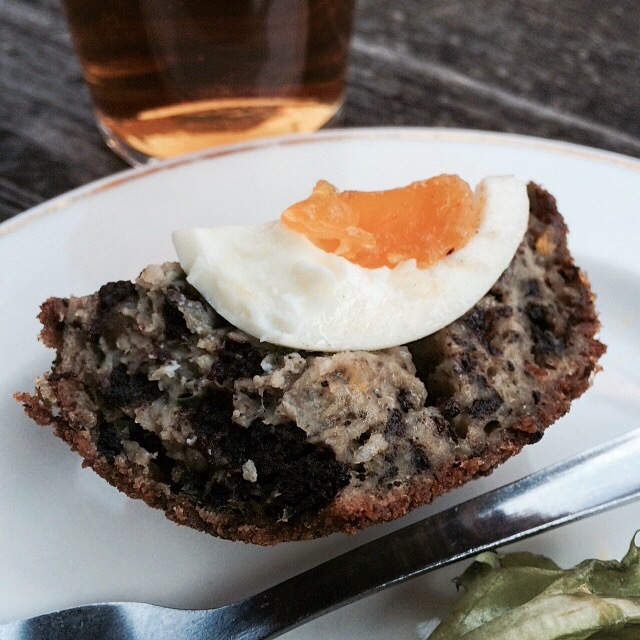 It was made with some black pudding and a hint of chilli. The scotch egg was served with some tasty salad leaves and a light dressing. On the way to Norfolk Street we stopped in front of Cotto, where Gerla gave us some insight on its chef Hans Schweitzer. If you haven’t been to Cotto yet, I highly recommend it! 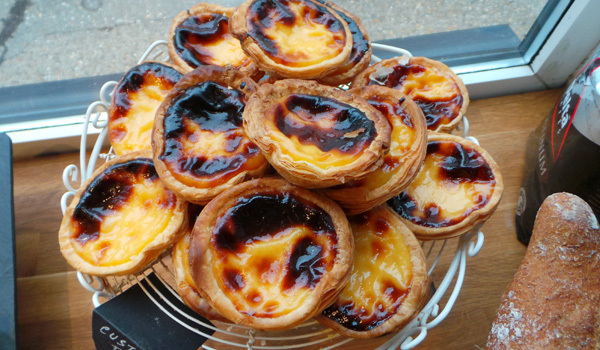 Once we entered Norfolk Street Bakery, I was delighted to see that owner Adilia gave us samples of her famous pastéis de nata (Portuguese custard tarts) which everyone agreed where heavenly and even bought some to take home! I also sampled a pastel de bacalhau (salted cod croquette) and even though I’m not a big fan of salted cod, this was rather delicious! We then strolled through Mill Road Cemetery, which was a lovely shortcut to Mill Road. 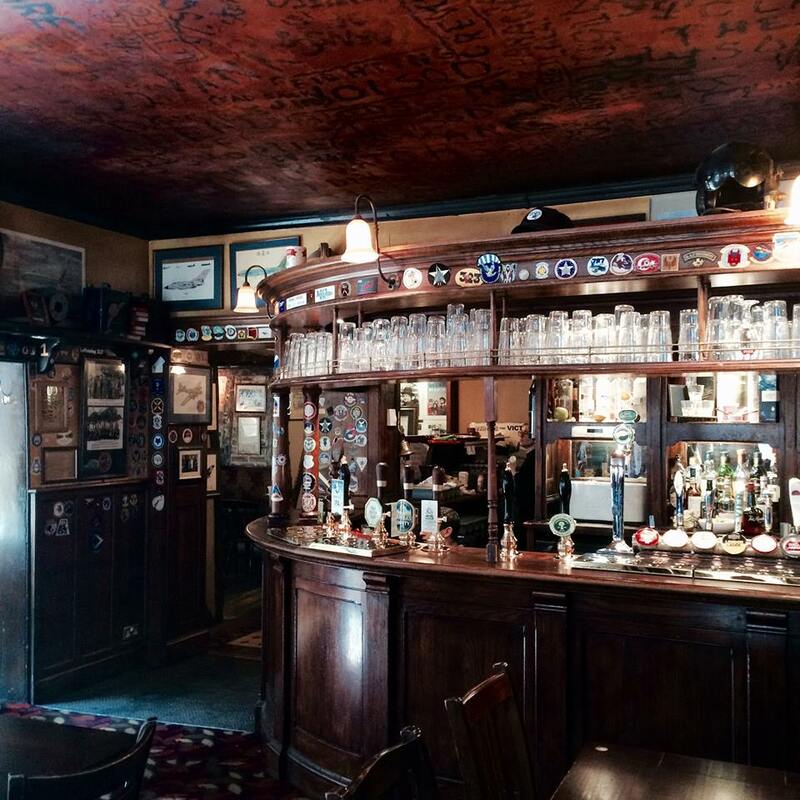 Gerla showed us around Mill Road and we enjoyed its buzzing vibe. We stopped in front of Noodle Plus to admire the dumplings! Another lovely stroll through Christ’s Pieces led us back to our final destination, Nord, where Jack’s Gelato has a counter. Xina was on hand to scoop out our choice of flavours. I had one of my favourites, Early Grey & Plum. 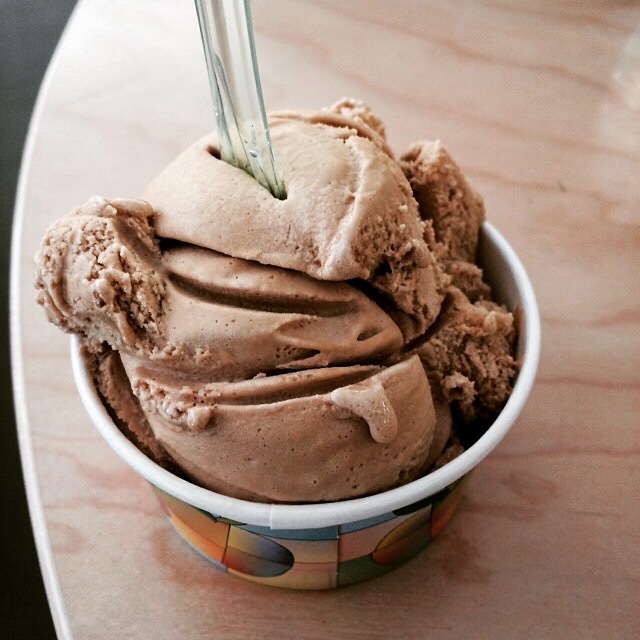 There were tables and chairs outside where we could sit and enjoy our gelato. It was already time to say goodbye and if my feet weren’t so tired, I could have sworn only an hour or two had passed. The whole tour lasted over 4 hours and it went by really quickly because it was so interesting and enjoyable. The tour is done at a leisurely pace and I literally ate my way through it, sampling and sharing a bit here and there… with all of the deliciousness making up a nice lunch, leaving me satisfied but not too full for dinner later on. 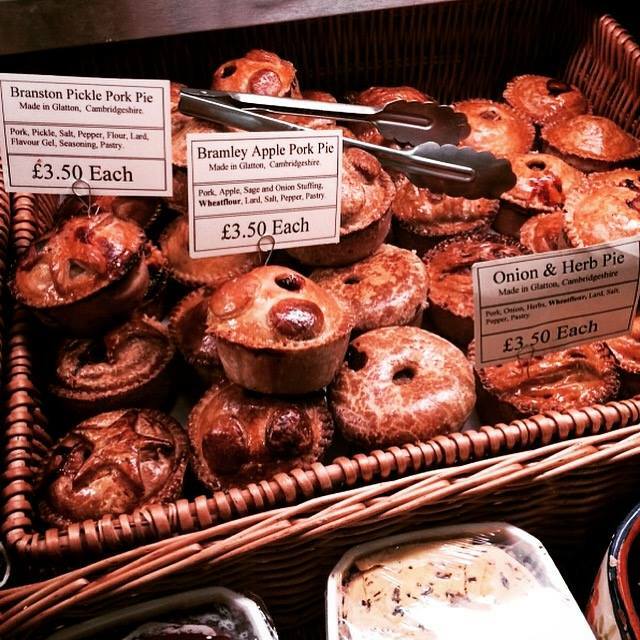 Cambridge Food Tour is not only for visitors. 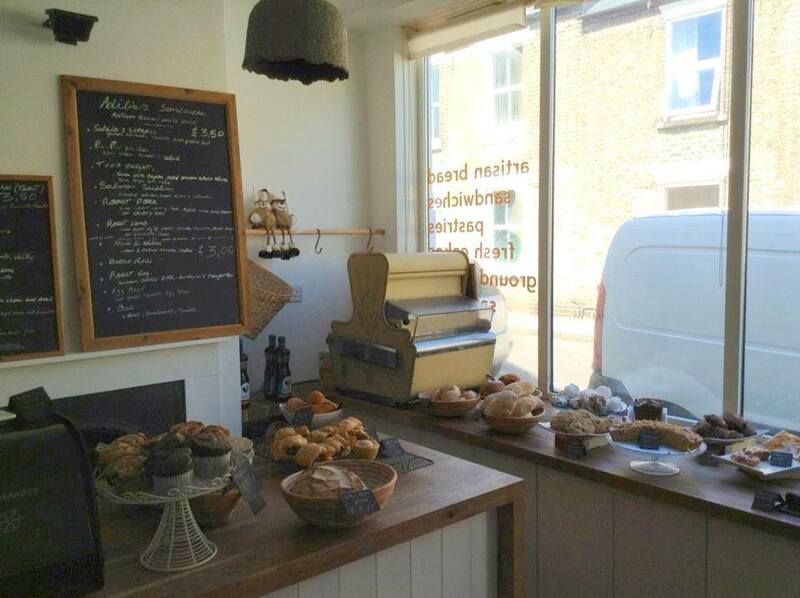 There is always something new to discover in Cambridge, with many places opening practically every month. It’s a really fun day out and Gerla is the perfect guide, being a foodie and avid globetrotter herself! 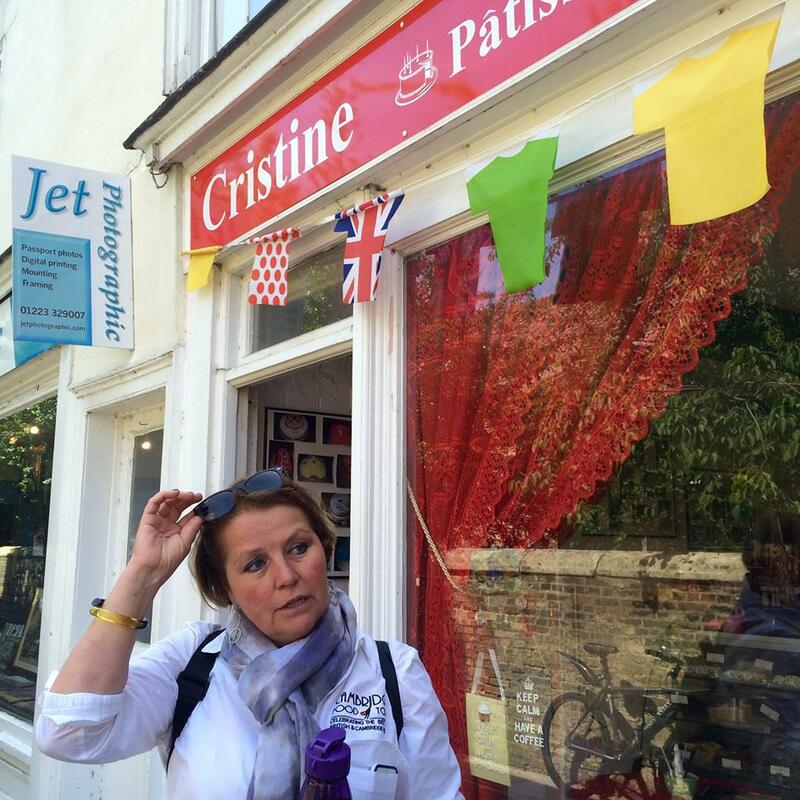 Cambridge Food Tour invited me to attend the lunch tour but were unaware that my experience would be the basis of a written review. Although the tour was complimentary, all views are my own. I did not receive compensation for my review. This entry was posted in Food Events and tagged apple juice, Aromi, bacalhau, Cambridge, Cambridge Food Tour, Cambridge market, Champion of the Thames, Chelsea buns, Cristine Patisserie, falafel, Fitzbillies, Free Press Pub, fudge, Fudge Kitchen, Gerla de Boer, Jack's Gelato, Mediterranean Falafel, Nord, Norfolk Street Bakery, pasteis de nata, pastel de nata, pork pie, Portuguese custard tarts, Red Leicester, salted cod, scotch egg, surpresa de uva, The Cambridge Cheese Company, The Eagle by One Two Culinary Stew. Bookmark the permalink.